Returning to the saga he started three decades ago to bring yet another chapter of a world where an aged Batman still continues to wage war against crime and injustice, Frank Miller will be teaming up with comic book writer Brian Azarello to do a new sequel for the seminal 1986 graphic novel “The Dark Knight Returns” with “The Dark Knight III: The Master Race” – an 8-issue miniseries that will begin in fall 2015 and will be published twice a month. Officially announced by DC Comics and timed to be released just in time for the 30th Anniversary of The Dark Knight Returns, The Dark Knight III: The Master Race is the second sequel following the adventures of Bruce Wayne/ Batman after he comes out of retirement. The Dark Knight Returns helped bring Batman back to his dark roots, and helped inspire later interpretations of The Caped Crusader seen in comics and film. The upcoming DC Cinematic Universe film “Batman v Superman: Dawn of Justice” is a primary example and is heavily inspired by The Dark Knight Returns. 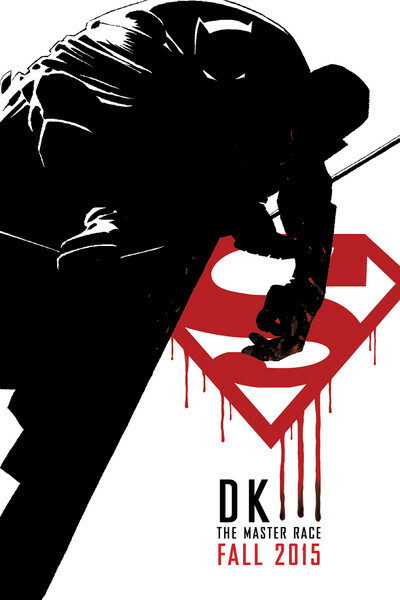 A direct follow-up to the 1986 classic came with 2001’s “The Dark Knight Strikes Again“, and then later Frank Miller worked together with Jim Lee on “All Star Batman & Robin“, which featured a younger Batman and Miller later clarified that the story did exist in his Dark Knight Universe. No artists have been named for The Dark Knight III: The Master Race as of this moment, but expect more announcements from DC Comics to arrive soon. Next articleHere’s Jared Leto as The Joker for “Suicide Squad”!